The main objective in wastewater treatment is to allow human and industrial effluent to be disposed of without endangering human health or the natural environment. We, in EPT, design "tailor made" solutions include physical/chemical and/or biological treatment. 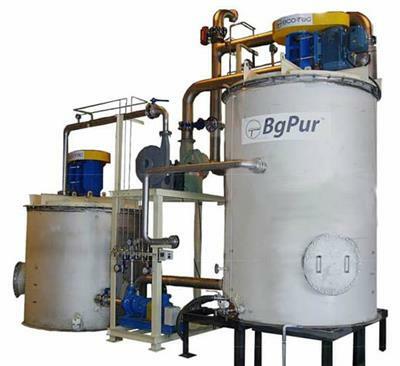 The biological solutions includes aerobic treatment, anaerobic treatment allowing biogas production as well as membrane technologies enabling water reuse. By Environmental Protection Technologies Ltd. (EPT) based in ISRAEL. Tighter discharge consents, reduced energy consumption, reduction of CO2 emission, advanced nutrient removal from effluent, increased capacities and decentralized treatment are the modern trends that waterboards and municipalities are facing. In order to meet new standards, municipalities are looking for specialized solutions. In an aerobic treatment system, air is injected which is used by aerobic bacteria to convert BOD to carbon dioxide and water. Archaea in boosting methane production. Many wastewater streams contain suspended solids that need to be disposed of or cause problems in ‘downstream’ wastewater treatment systems. Effective TSS removal is an important step to purify water sufficiently for reuse, thereby lowering the requirement for fresh water.